Drones are cool gadget and what makes them more cooler is you can find many drones that can be controlled by your smartphone and few are autonomous.Many hobbyist use drones for capturing moments. Drones and sports camera like GoPro are responsible for the craze of Aerial photography these days. Drones made it easier for us to shoot photo from the sky and explore the different angle of photography and videography. 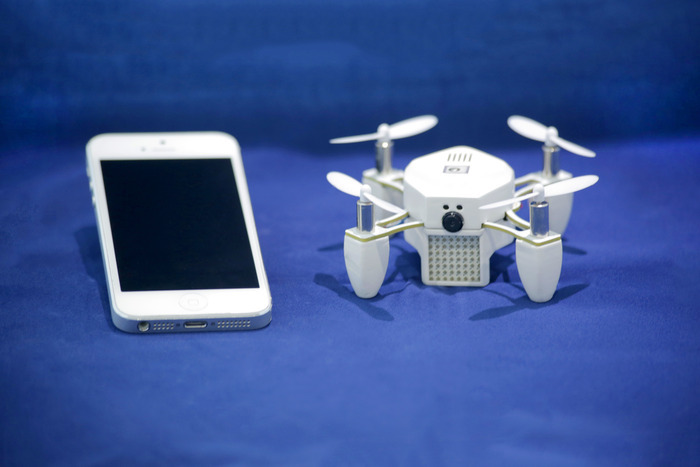 There are many brands who manufacture pocket sized drones to large for military purpose. If your purpose of using drone is for filming video or taking photos, you look for portable but with good camera, Today in this article we have featured two autonomous drones, those follows you and capture your video. ZANO is an ultra-portable autonomous drone for taking aerial photography and HD video. Zano is Small enough to fit in the palm of your hand and intelligent enough to fly all by itself. ZANO connects directly to your smart phone via onboard WiFi and enables you to instantly begin capturing and sharing moments like never before. HEXO+ is an intelligent drone that follows you and takes video autonomously. You can film your project alone with the help of Hexo+. You can mount GoPro and start filming. Check out the video below and be amazed.